One of my poems, "Recipe for the Broken", is a finalist for inclusion in the Goodreads July newsletter. The newsletter is sent by email to over two million members of this social networking website for book lovers. As far as I know, that is a far greater circulation than even the most popular literary journals in print can boast. Apart from the exciting opportunity to reach a wider audience, I also decided to submit a poem as a kind of participant-observer in my ongoing informal research into alternative modes of publishing. This is one example of the ongoing democratization of poetry--not only because it involves voting, but because it involves more generally the dissolution of intermediaries between author and reader. Laura Miller has a compelling argument for why similar trends, like the rise of self-publishing, are not necessarily such a good thing. As the intermediary "gatekeepers"--editors and publishers--are increasingly circumvented, the burden of discovering good writing shifts to the already overwhelmed and distracted reader. James Fallows also recently detailed, with his signature blend of intelligence, curiosity, and crystal-clear prose, why and how a company like Google, iconic for its ability to democratize (and thereby collapse) whole industries, is going out of its way to help poetry's sensible cousin, journalism. Google's premise is that good journalism is a form of content necessary to the web search engine giant's own survival, and that high-quality investigative journalism is critical to the success of actual, governmental democracies. They contend that the journalism industry is experiencing not a lack of demand, but a lack of efficiency that will ultimately right itself. In the interim, however, to prevent or at least minimize a dark age of poor-quality and fragmented news, Google is extending a helping hand to newspapers everywhere. Who, I wonder, is helping literature in general, and poetry specifically? Dave Gessner points out another aspect of poetry's democratization--that is, "we are all poets now." Social media has revolutionized our relationship to the art of words, and to the art of relating to one another through words--rewarding brevity and wit. Thousands of Emily Dickinsons who might, in a previous age, have been content to lock their scribblings away in a hope chest are now getting into the game. And, whether or not you think some of it ought to have stayed locked up, or at least been run past an editor first, the trend toward sharing poetry online is irreversible. And so, in the absence of some greater deus ex machina, perhaps we are the very saviors we have been looking for. As we writer-readers forge relationships of trust and shared taste with one another, perhaps we can replace the former "gatekeepers" of literary merit--not with a large conduit for unfiltered trash--but with pass-it-along networks where good writing advances through new "mini-gatekeepers" with earned reputations for advancing quality writing to a receptive audience. Let us not forget, though, that pure democracies undermine minorities and enforce conformity. That is why the most successful governmental democracies make provisions for the individual, and delegate governance to elected officials, instead of relying on majority votes alone. Much like understanding an agreed-upon set of principles for governance (such as a constitution), likewise some degree of formal or informal cultural education is a prerequisite to the appreciation of art. And even as complex laws are put before experienced legislators, so too must there still be some form of "gatekeeper" involved in the championing of literature and literary ideas. Whether these "gatekeepers" and "mini-gatekeepers" will come in the form of a new breed of tech-savvy editors at independent and university presses, through the increased reputability of online forms of publishing, or, most likely, both--one thing is clear: we are in a time of great change and upheaval, as writers and readers of art-made-out-of-words seek to connect in a world made startlingly smaller and faster by the proliferation of ones and zeroes. 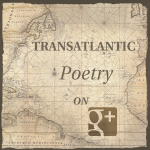 Categories: Community, Insights, and Poetry. Tags: Goodreads, Google, and James Fallows. Poets: Dave Gessner and Laura Miller.